Who doesn’t love the appeal of the Old Wild West? When you travel to Cheyenne, Wyoming, you can experience America’s Old West through the city’s attractions, outdoor activities and arts and culture venues. 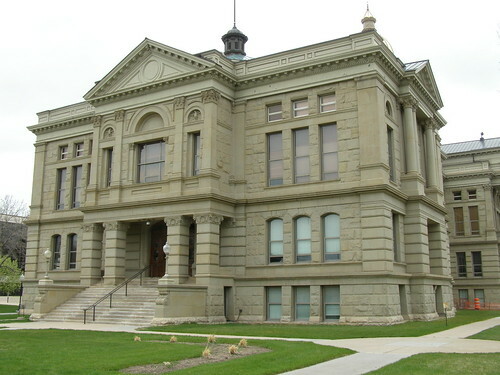 Built in the late 1800s, the Wyoming State Capitol building is an excellent place to learn about the history and heritage of Cheyenne. Constructed in Renaissance Revival architecture, the capitol building features a 146-foot gold leaf dome that is visible from all entrances into the city. You can tour the building to view its stunning interior of checkerboard Italian marble, cherry wood staircase and stained-glass windows as well as mounted golden eagles and mounted bison. Additionally, there are beautiful paintings and murals depicting the industry, culture and historical events of Wyoming. Among Cheyenne’s most unique attractions is its collection of Cheyenne Big Boots that are placed at various locations throughout the city. Standing eight feet tall, each of these cowboy boot sculptures are individually painted by different local artists and reflect the city’s history. A popular activity here is to go on a scavenger hunt to search for all of the boots. You can find maps at different locations in the city such as the Visitors Center of the Depot Museum. Also unique to Cheyenne is the Francis E. Warren Air Force Base, a military missile base. Every year during the Cheyenne Frontier Days rodeo event, the base is open for tours, offering a one-of-a-kind experience where you can visit different training facilities, launch sites and missile silos as well as a collection of antique and contemporary military vehicles. Spread over nine acres in Lions Park, the Cheyenne Botanic Gardens is an award-winning garden complex featuring a massive conservatory and several outdoor gardens with various themes. The Botanic Gardens also contains the Paul Smith Children’s Village where you and your children can enjoy interactive landscapes that include water features, windmills, sculptures, puppet theaters and a teepee village. Cheyenne offers plenty of art venues and cultural museums such as the Cheyenne Artists Guild, an art gallery showcasing art works from local artists. The Wyoming State Museum is an excellent place to see exhibits displaying art works and artifacts that illustrate Wyoming’s cultural heritage, industry and natural history. At the Cheyenne Frontier Days Old West Museum, you can view pioneer artifacts, folk art and old wagons as well as engage in fun interactive exhibits to learn about the city’s Old West history. Housed in a historic train depot, the Wyoming Transportation Museum is also known as the Cheyenne Depot Museum. Regarded as one of North America’s most beautiful rail stations, this depot museum features a plaza that hosts events and music concerts throughout the year. Every July, Cheyenne hosts its Frontier Days celebration, which presents one of the largest and oldest rodeos in America. Held over the course of 10 days, this event offers concerts, parades, a carnival, arts and crafts and rodeo events like calf roping, barrel racing, professional bull riding and much more. The 3,400-acre Curt Gowdy State Park offers outdoor fun like camping, fishing, canoeing, water skiing, archery, horseback riding, hiking and mountain biking. You can also view wildlife here like moose, deer, wolves and various birds. This state park also offers hotel accommodation. You can also enjoy horse riding tours on the Outlaw Trail where famous outlaws like Butch Cassidy and the Sundance Kid once rode and hid supplies and horses. Headquartered in Cheyenne, the Sierra Trading Post features an outlet store in the city where you can get bargain savings on all their items. Cheyenne features a semi-arid climate where you will find winters to be cold and long while summers are pleasantly warm with plenty of sunshine. No matter what type of hotel accommodation you need in Cheyenne, you can find incredible deals online today.